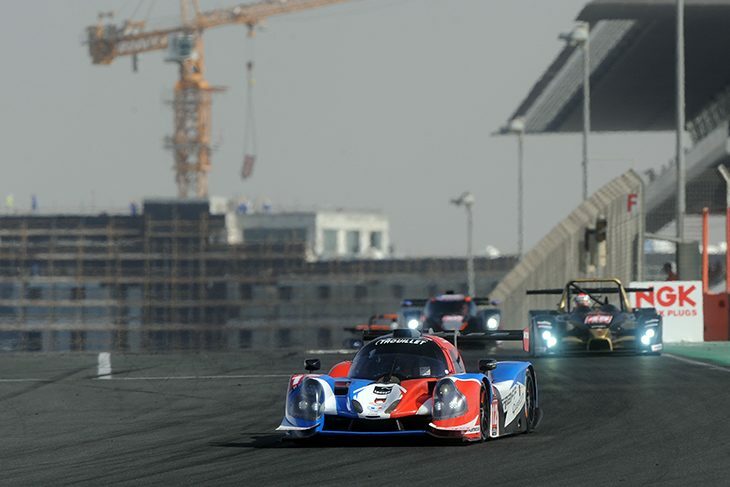 Eric Trouillet, Franck Matelli and Edward Lewis Brauner in the #12 Graff Ligier JS P3 claimed victory in a race of attrition in the first ever 24H Proto Series race at the Dubai Autodrome. The trio, in the first of three three-hour races this week, held on late in the race, to prevent a hard-charging Peter Kox in the Kox Racing Ligier JS P3 from stealing the lead in the final hour. Finishing second was the Kox Racing Ligier, despite Kox accidentally leaving the Code 60 limiter on too long in the final minutes at the end of a Code 60 period which was called for the CN-leading Krafft Norma stopping on track with gearbox issues. The gap to Matelli ahead, which was reduced to 33 seconds after being over a minute at the start of the final stint, ended up being well over a minute at the end of the race as Kox crossed the line. Behind, the Century Motorsport Ginetta G57 of came home a distant third, after a radio failure caused Daniel McKay to bring in the car too early in the second hour, forcing the team to pit an extra time at the end for a splash. The CWS Ginetta followed the Century G57 home fourth; its chance to take a podium ended by a stop-go penalty mid-way through the race which cost it valuable time. Rounding out the top five was the IDEC Sport CN Ligier which started from the back after failing to head out for Qualifying. 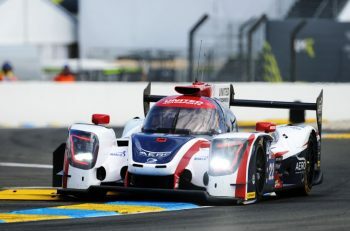 Frédérique Da Rocha, Nicolas Da Rocha, David Abramczi and Romain Vozniak had a quiet outing until the very end, when Vozniak took the classs lead on the final lap off the #85 Krafft Racing Norma. It was a disappointing race for the Krafft outfit which held a dominant 1-2 in CN for much of the race, until the team’s #82 Norma suffered a gearbox failure with 20 minutes left run the race and Jean-Charles Perrin failed to hold off the IDEC car at the very end. The race as a whole was in fact dramatic throughout, with most of the 17-car field having mechanical issues at some point. In particular, many of the issues hampered the chances of one of the eight Ginetta G57s in the race taking the win. 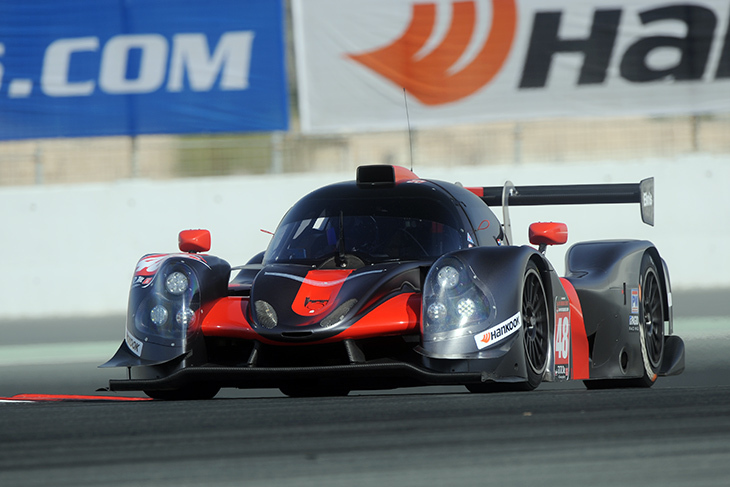 The performance-balancing pit stops were also a factor, as they favoured the LMP3 runners. The G57s had to make take two stops of a minimum of seven minutes, while the P3s’ stops could be four and a half minutes. The result was that the LMP3 cars were vaulted into the lead after each stop, creating an LMP3 1-2 at the top of the classification at the end. That said, of the G57 and P3 field, only the winning car completed the three hours without an additional stop or drive-through. At the start of the race, Bradley Ellis in the #54 Optimum Motorsport G57 held the lead from pole, but had to defend hard in the opening stint from Charlie Robertson in the HHC Racing G57, after he took second at Turn 1 off Jordan Sanders’ Graff Ginetta. But in the end, all three of the leading Ginettas hit trouble, which paved the way for the two LMP3 runners to come home first and second. The HHC G57 had an alternator issue which forced it into retirement, the Optimum just one lap later had an electrical failure with Ade Barwick driving and the Graff G57 had to make two extra stops, one for a loose wheel early in the race, and then for a left-rear puncture. 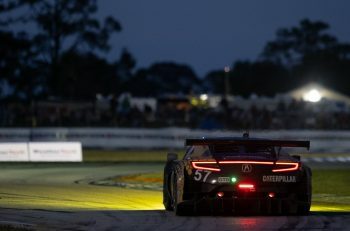 The team recovered from the loose wheel stop, but the puncture in the final hour while Mike Simpson was trying to chase down the leader while sitting second caused the car to slip to ninth overall. There was an open question as to whether heat soak from the lengthy mandated pit stops were a cause of the electrical problems. 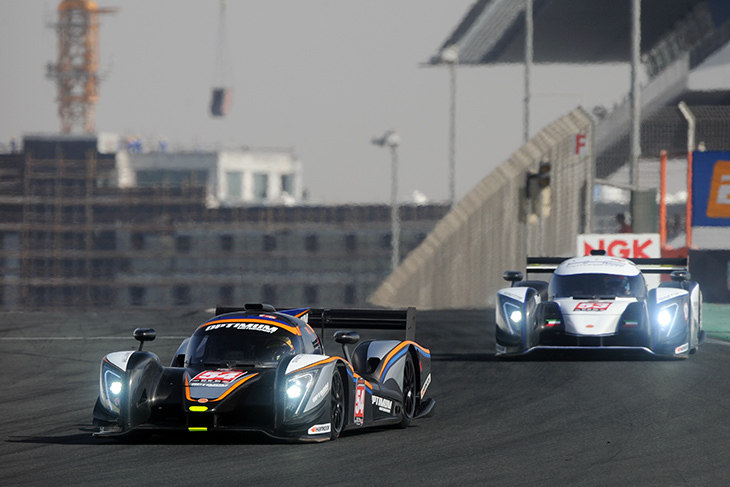 Race 2 is set to take place tomorrow at 09:00am local time in the UAE.